Brazil’s ex-President Luiz Inacio Lula da Silva has been convicted of corruption charges and sentenced to nine and a half years in jail. The judge ruled Lula da Silva could remain free pending an appeal. Luiz Inacio Lula da Silva has rejected claims that he received an apartment as a bribe in a corruption scandal linked to state oil company Petrobras. The former leader says the trial is politically motivated and has strongly denied any wrongdoing. 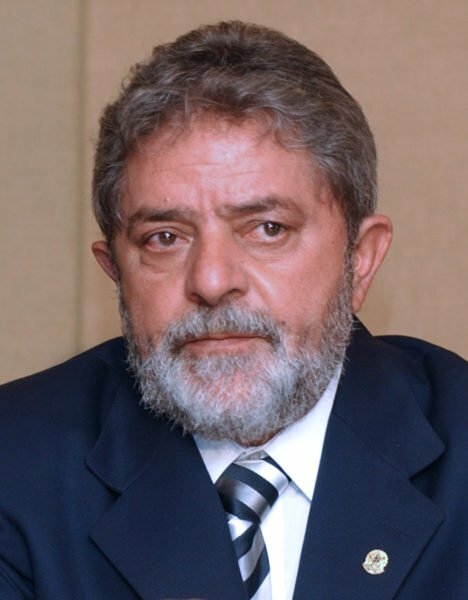 The case is the first of five charges against Lula da Silva. Luiz Inacio Lula da Silva served eight years as president until 2011 and has expressed interest in running again in the 2018 elections for the left-wing Workers’ Party. On July 12, a judge found the former president guilty of accepting bribes from engineering company OAS in the form of a beachfront apartment in return for his help in winning contracts with the state oil company. In a statement, his lawyers insisted he was innocent and said they would appeal. “For more than three years Lula has been subject to a politically motivated investigation. No credible evidence of guilt has been produced, and overwhelming proof of his innocence blatantly ignored,” they wrote. The head of the Workers’ Party, Senator Gleisi Hoffmann, also hit out at the ruling, saying it was designed to stop Lula da Silva standing for office. Gleisi Hoffmann said the party would protest against the decision. In theory, Luiz Inacio Lula da Silva is free to run in the presidential election until the legal process ends. The charges he faces relate to the Car Wash scandal, the nickname for Brazil’s biggest ever corruption probe. Operation Car Wash was launched three years ago amid escalating public anger over political corruption. The investigation centers on companies that were allegedly offered deals with Petrobras in exchange for bribes, which were funneled into politicians’ pockets and party slush funds. Luiz Inacio Lula da Silva, a former steel worker turned union leader, came to office as the first left-wing leader in Brazil in nearly half a century. He was Brazil’s most popular president during his tenure – former President Barack Obama labeled him the most popular politician on Earth. Unable to stand for a third consecutive term, he was succeeded by close ally Dilma Rousseff, who was later impeached. Brazil’s current President Michel Temer also faces corruption allegations and is resisting calls for him to step down.